Once the conversation of great directors comes up, their visual language and touch may come up and no other director may be as distinct in that field than Guillermo del Toro. His films contain a level of creativity on the production level that few can match. So naturally when del Toro lines up to make a new creature feature, period piece, romance film, it is only natural that the hype is a bit high. Elisa (Sally Hawkins) is a mute, isolated woman who works as a cleaning lady in a hidden, high-security government laboratory in 1962 Baltimore. Her life changes forever when she discovers the lab's classified secret -- a mysterious, scaled creature (Doug Jones) from South America that lives in a water tank. As Elisa develops a unique bond with her new friend, she soon learns that its fate and very survival lies in the hands of a hostile government agent (Michael Shannon) and a marine biologist (Michael Stuhlbarg). What Guillermo del Toro manages to do with the different genre elements in The Shape of Water is almost elegant in the way it balances everything. While first and foremost a romantic story that is anything but typical, the film also crafts this fantastic sci-fi centric cold-war era story that functions congruently and seamlessly with the dreamier side. 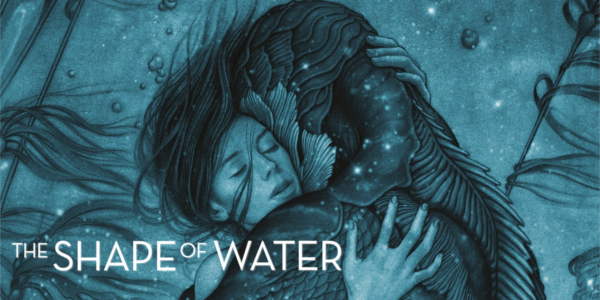 More so than any of the director’s other films, however, is the emotional connection The Shape of Water garners for the main character Elisa. Part of that connection falls on the unbelievable performance from Sally Hawkins. The actress manages to give one of the most memorable performances of the year without speaking for a majority of the film and relying solely on her ability to portray emotion. Michael Shannon is typecast as the intense antagonist, a role he certainly nails and if it isn’t broke, don’t fix it. Richard Jenkins is surely bound to get award consideration as the season progresses, as the timing and heart that he brings to it are welcome support. But I feel it is necessary to mention Doug Jones and his work here. 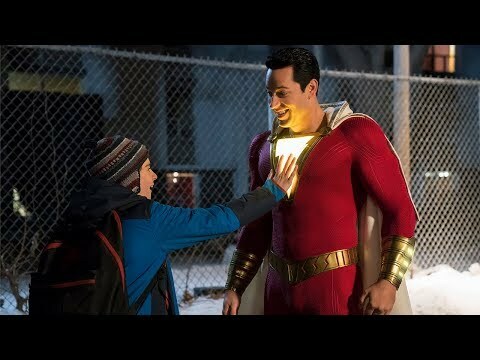 Now he delivers every time out, but what he does here with his body and movements makes the creature feel not only real, but like an actual character. And while the film does possess a lot of good characters and really engaging plot, the biggest draw from the beginning has to be the visuals. How they ever crafted the look of this film on such a small budget is amazing, as the effects and the production design are off the charts It does a great job of setting the mood and period of it all so that the story can thrive. It certainly helps that the cinematography matches the beauty of the design and the score gives everything a mystical, fantastical quality that seeps into every inch of the film. Overall, The Shape of Water is a beautifully crafted film in every single aspect that oozes charm and imagination from start to finish. An emotionally engaging story and an award worthy, mesmerizing performance from Sally Hawkins make it more than just something gorgeous to look at. 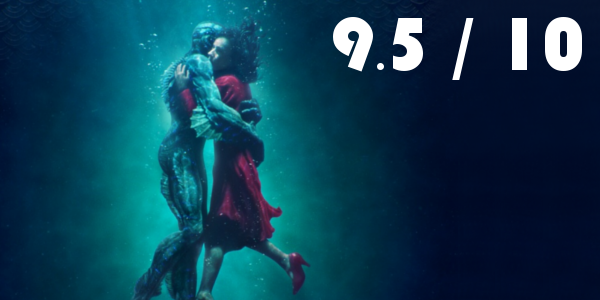 Make no mistake, The Shape of Water is one of the best films of the year and worthy of just about everyone’s attention during the thick of awards season. So what did you think of The Shape of Water? Have you seen it? Are you interested in seeing it? Share, subscribe, comment below, and as always return to I Am Sam for weekly reviews and insight.